The people of our society born between 1946 and 1964 are known as Baby Boomers. There are 75-80 million Booomers out there, and they make up more than a quarter of the population in the US. Furthermore, they represent nearly half of our current workforce. Many in this collective group of people are newly retired, about to retire, or looking forward to retirement not too far down the road. This amazing group of people has had quite an influence on society – the way it has grown and changed. Likewise, they have played an influential role in home design. Baby Boomers have their own ideas about the homes they wish to live in after retirement. 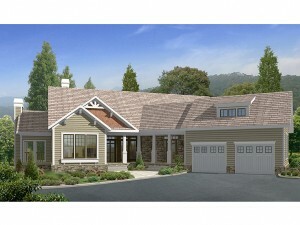 Below are six floor plan elements commonly requested by Boomers. 1. One-story floor plans with no steps at the entry allowing occupants to move around efficiently and safely within the home. 2. Safety features like no-slip flooring, walk-in showers and specially designed thresholds eliminating slips, trips and falls. 3. Flexible rooms than can serve a specific purpose and easily convert to another purpose as the occupant’s lifestyle changes and evolves. 4. Open living areas that can be arranged differently to accommodate various situations, gatherings and events. 5. Indoor and outdoor entertainment spaces that can satisfy both formal and casual gatherings such as playing games and barbecuing with the grandkids or hosting and elegant, holiday dinner party. 6. A guest room with private bath that can accommodate an elderly family member in the occupant’s care or a place for the kids and grandkids to sleep when they visit for the weekend.